We are grateful to our In-Kind sponsors for partnering with Viper SPED Booster Club, sharing our mission and contributing in their own unique way to enhance the performance of our students. One of the greatest experiences at Cups & Cones is working side-by-side with people and businesses in the Four Points area. It is especially rewarding to work with students and mentors in the special needs community. Partnering with the ViperSPED Booster Club provides an opportunity to create even greater awareness of the unique skills and abilities of these individuals. We count this an honor and are eager to help the organization grow as we all strive to provide support and foster awareness of ViperSPED’s integral role in Four Points. Cups & Cones is a local ice cream and coffee café in northwest Austin which is a friendly stop for people to relax and enjoy a meal or a special treat. 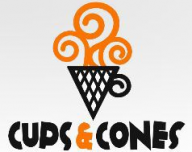 More information on what we do and serve is at www.cups-and-cones.com.